Bella is a bright, colorful and responsive OpenCart template from BossThemes. 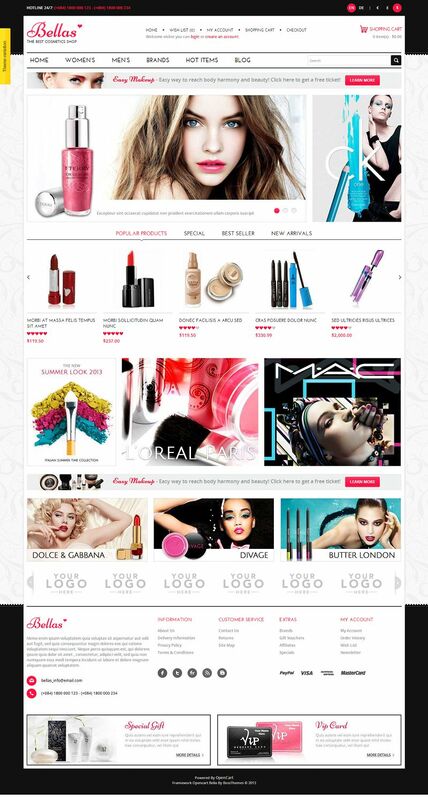 It is suitable for your beauty, cosmetics and fashion stores. Bella theme features a great looking slideshow along with many banners and product widgets in the homepage. A gorgeous background and a colorful layout suits well for a beauty shop. This theme comes featured with Mega Menu and Theme Editor. Other trendy features, such as Brand Slider, Social Network Links, Multiple Currency and much more to help you boost your sales.